The 2019 Toyota Prius C is a decent highway car, although reserve power is not exactly abundant. And in the city, it’s reasonably nimble, easy to manoeuvre and simple to park. It has just 484 litres of cargo capacity and an overall length of 4.06 metres. One the problems with being environmentally responsible is that, for carmakers and consumers, it doesn’t come cheap. Electric and hybrid cars, for the most part, are more expensive than their internal combustion-propelled counterparts. Mitsubishi and Nissan, for example, are both actively immersed in electric/hybrid vehicle technology. 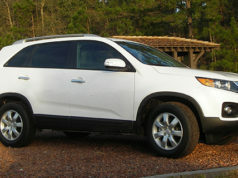 They also sell affordable, non-hybrid econoboxes priced in the $10,000 range. But you can’t even buy a decent used electric or hybrid vehicle for that kind of money and if you could, it would pretty much be at the end of its useful life. If carmakers are serious about being environmentally responsible, they simply have to drop the price of their alternate fuel vehicles. Make them affordable for the masses. To paraphrase the movie Field Of Dreams: build it and the buyers will come. Still, some carmakers have made hybrid technology a little more affordable. Toyota’s 2019 Prius C is not exactly bargain basement, but it’s reasonably priced and comes with all the attributes of Toyota’s hybrid technology system. However, Toyota is reportedly going to discontinue the Prius C soon. So if you want one, you should probably get it sooner rather than later. 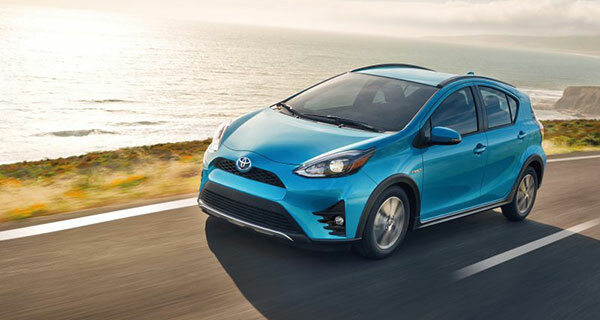 Powered by a four-cylinder Atkinson cycle engine that displaces 1.5 litres, the Prius C is based on the Yaris platform, and develops just under 100 horsepower. That doesn’t exactly make it a road-scalder but does give it excellent fuel economy: 5.1 litres/100 km combined rating. It offers a continuously variable transmission (CVT) and the battery is of the nickel metal-hydride variety. The drivetrain has a variable valve timing feature for the engine that adjusts the valve lift according to driving conditions. The 2019 Toyota Prius C interior is a fairly basic automobile. The front seats are reasonably comfortable, though a little confining over the long haul. And the controls and switchgear are relatively normal and easy to use. And the car offers Toyota’s “exhaust heat recovery system.” This pumps the engine’s coolant around the exhaust during cold starts and, in the process, speeds the warming-up process. This means less time spent in a cold car and improved combustion right off the top. Other manufacturers use variations of heat recovery systems but Toyota was one of the first to put it into mass production. What mainly separates the C from the garden variety Prius is its size. This is not a large vehicle, with some 484 litres of cargo capacity and an overall length of 4.06 metres. The full-size Prius is 4.64 metres and has much more in the way of interior elbow room: around 700 litres (24.6 cubic feet). The Prius V, meanwhile, has over twice as much interior space – 971 litres (34.3 cubic feet). Needless to say, these latter vehicles are more expensive. They also feature a lithium-ion battery pack, which some say is the better set-up. Think of the Prius C as a smaller decontented version of its larger stablemates. 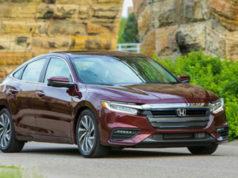 With a starting price of around $23,000 before options and extras, you’re getting a fairly basic automobile, with little in the way of creature comforts. Or you could move up to the Technology model, which is what I drove this time. This model offers heated seats, push-button start, glitzy wheels and tires, fog lamps, navigation system, XM radio and so on. Is that worth an additional $5,000? That’s between you and your pocketbook. But if efficient, economical transport is your number one priority, then I say no. 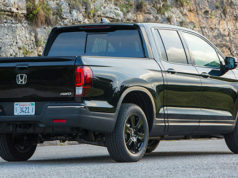 For me, the only worthwhile options with the Technology model are the heated seats and satellite radio, which should be standard. But they’re not, nor are they stand-alone options, which they should be at the very least. Behind the wheel, the Prius C is less than scintillating. You need to keep your foot in it if you want to keep up with traffic and long, steep hills slow things right down. The engine is also quite loud under hard throttle. Well, it’s a CVT and should be in a snowmobile. On the other hand, once you get up to speed, the C settles right down. It’s a decent highway car, although reserve power is not exactly abundant. And in the city, it’s reasonably nimble, easy to manoeuvre and simple to park. The front seats are reasonably comfortable, though a little confining over the long haul. And the controls and switchgear are relatively normal and easy to get along with. 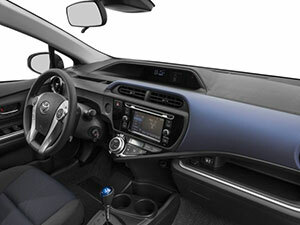 The Prius C won’t carve up the corners and pamper you with mostly unnecessary convenience features. But you don’t buy this car for its performance or luxury content. You buy it because it’s good on gas and goes about its business efficiently and with no drama. Some alternatives: Prius, Prius V, Ford C-Max, Honda Clarity, Kia Optima Hybrid, Hyundai Ioniq.